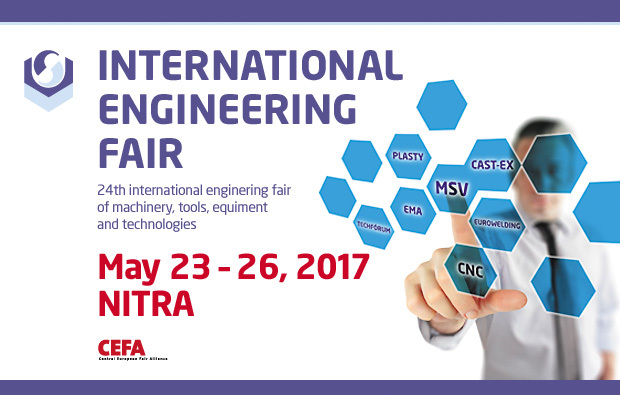 The 24th international engineering fair of machinery,tools,equipment and technologies will take place from 23rd until 26th of May 2017 in Nitra, Slovakia. Traditional enginnering fair in Nitra is back for the 24th time. This year, the fair is happening at the same time and place as the electro fair ELO SYS . This gives all visitors a unique chance to visit both events at once and discover more than before. You may find our presentation in Pavilion M5 at stall(no. 6) of the Slovak Welding Association.